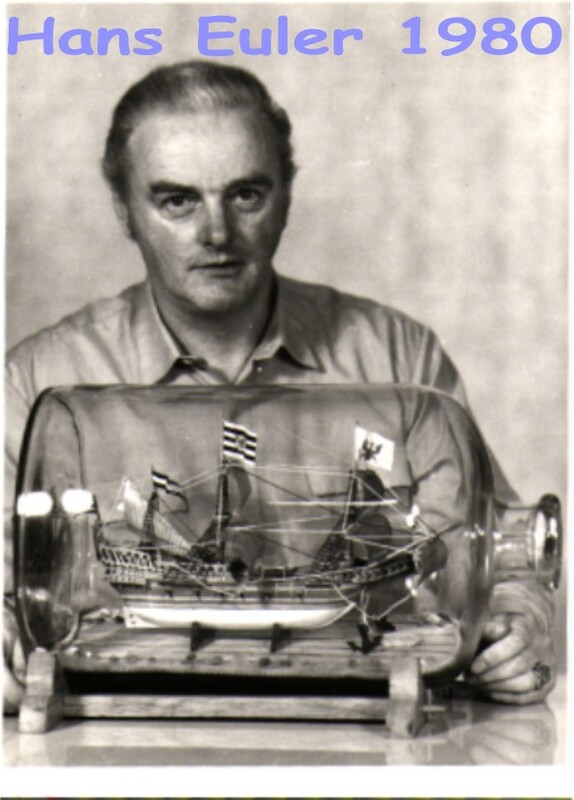 Hans Euler was a former sailor and has been making ships in bottles for over 40 years. 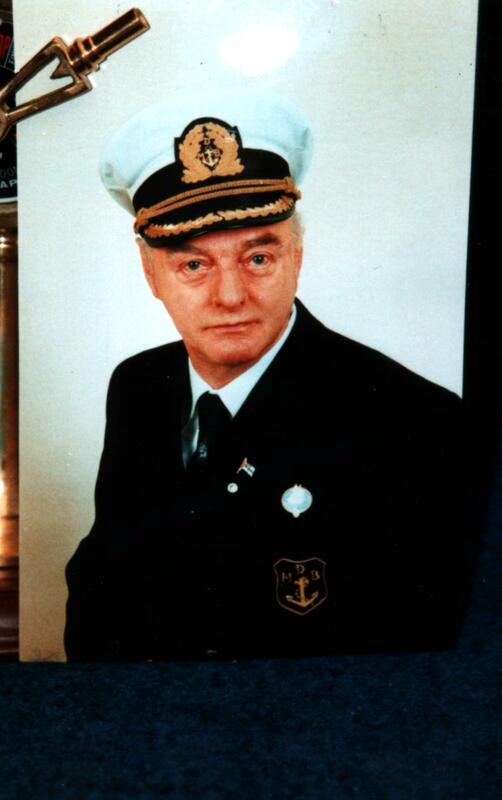 He is the owner of the Buddelschiffe Museum located in Tangerh?tte, Germany and all the models in the museum are his work made over those year. 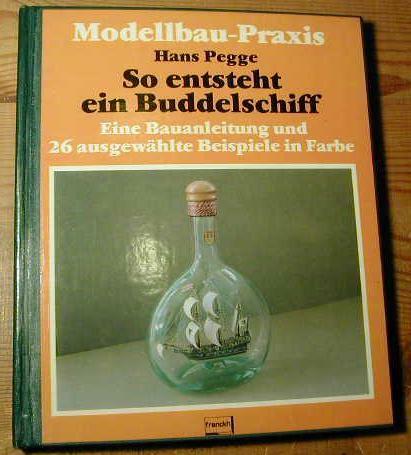 He is the author of the ship bottling book, So entsteht ein Buddelsschiff. Tangerh?tte, located relatively near Berlin, was in East Germany before the fall of the Berlin Wall, and when Hans wrote his book he had to smuggle it out to West Germany to have it printed. He used the pen name, Hans Pegge, to conceal his identity. 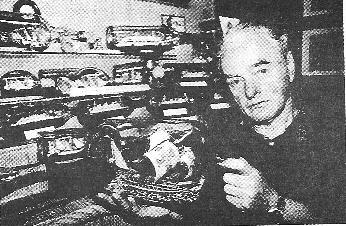 Among the many examples is his model of “Sea-battles” in a 50-Liter bottle, the “Titanic”, and a raft in a bulb constitute special attractions of the museum.